March 29, 2019 Mezeron NewsLeave a Comment on m.v Silver River Fri 29/03/2019 ETD 1800 hrs, Sat 30/03/2019 ETD Ramsey Harbour 0430 hrs, Discharge to commence 0700 hrs. m.v Silver River Fri 29/03/2019 ETD 1800 hrs, Sat 30/03/2019 ETD Ramsey Harbour 0430 hrs, Discharge to commence 0700 hrs. 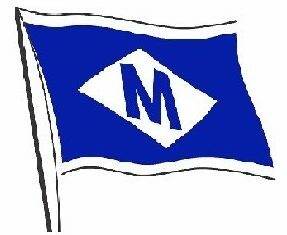 March 27, 2019 Mezeron NewsLeave a Comment on m.v Silver River Wed 27/03/2019 ETD Glasson Dock 1500 hrs. Thu 28/03/2019 ETA Ramsey Harbour 0200 hrs, discharge to commence at 0800 hrs. m.v Silver River Wed 27/03/2019 ETD Glasson Dock 1500 hrs. Thu 28/03/2019 ETA Ramsey Harbour 0200 hrs, discharge to commence at 0800 hrs. March 26, 2019 Mezeron NewsLeave a Comment on m.v. Silver River Tue 26/03/19 ETD Ramsey Harbour @ 1700 hrs. Wed 27/03/2019 ETA 0400 hrs, loading to commence @ 0700 hrs. m.v. Silver River Tue 26/03/19 ETD Ramsey Harbour @ 1700 hrs. Wed 27/03/2019 ETA 0400 hrs, loading to commence @ 0700 hrs. March 25, 2019 Mezeron NewsLeave a Comment on m.v. Silver River Mon 25/03/2019 ETD Glasson@ 1300 hrs, ETA Ramsey Harbour 2330 hrs. Tue 26/03/2019 Discharge to commence @ 0800 hrs. m.v. Silver River Mon 25/03/2019 ETD Glasson@ 1300 hrs, ETA Ramsey Harbour 2330 hrs. Tue 26/03/2019 Discharge to commence @ 0800 hrs.